The incredible natural phenomenon behind short course alumna’s debut novel The Book of M.
City short course alumna Peng Shepherd’s debut novel The Book of M, due out in June, is set in a dangerous near future world and tells the captivating story of a group of ordinary people caught in an extraordinary catastrophe who risk everything to save the ones they love. 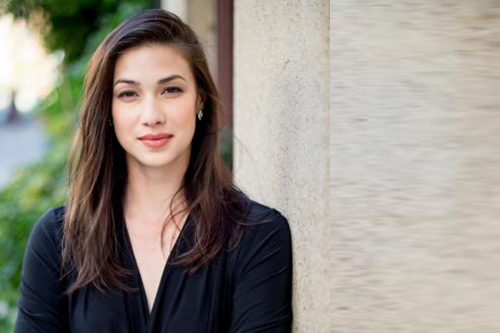 Like The Passage and Station Eleven, this haunting novel explores fundamental questions of memory, connection, and what it means to be human in a world turned upside down. David Lipsky, New York Times bestselling author of Although of Course You End Up Becoming Yourself has this to say about the novel: "Peng Shepherd has written a brilliant story that takes the hours and breath away—a voice that's as emotionally compelling as Gone Girl, a novel that's as thrilling as The Stand. Prepare to lose sleep. Shepherd is urgently good, and has written one of those books that makes you look up at two in the morning, to a world that's new, newly scary, and freshly appreciated: what all the great stories do." 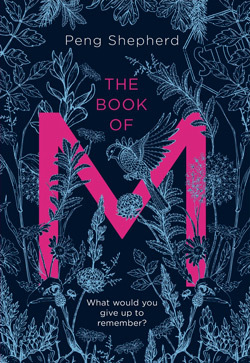 “The Book of M is about a mysterious plague that causes people’s shadows to disappear. The idea seems fantastical, but it’s actually not entirely fiction. I was inspired by real life. Every year, some people actually do lose their shadows—for just a few moments on a specific day. That day is called Zero Shadow Day. Put simply, Zero Shadow Day is an astronomical phenomenon that occurs when the earth’s rotation causes a certain area of land to become perfectly aligned with the sun, so that the sun is exactly over that place for a few minutes. During those few minutes, because the sun is directly overhead, things placed vertically on the ground don’t cast shadows, whether they’re water bottles, street poles, or people. Because of the angle of both celestial bodies, Zero Shadow Day can only be experienced by those who live between the Tropic of Cancer and the Tropic of Capricorn, which includes part of India, where a portion of my novel is set. There, the real Zero Shadow Day has become a sort of mini-holiday, with outdoor activities hosted by school teachers to encourage children to learn about astronomy and physics, flurries of photographs and hashtags on social media, and impromptu gatherings in open plazas where people watch for the midday shadowless moment. If you went to India on the right day and stood with the crowd, this is what you would see: your shadow would slowly start to shrink, becoming smaller and smaller beneath you, until it disappeared completely. Then for a few magical minutes, you’d be standing outside in broad daylight, casting no shadow at all. After those few minutes, once the Earth had rotated ever so slightly from its perfect position toward the afternoon, your shadow would of course return, and everything would be normal again. And if that’s made you hungry to read more, visit where you can read the first chapter from Peng’s novel. You can also follow Peng on twitter @pengshepherd. For more on all our writing courses visit or follow us @writingmatters1.